These Chickens Ain’t Got No Names! My chicken story. And afterward, a contest! Last year we started keeping chickens. 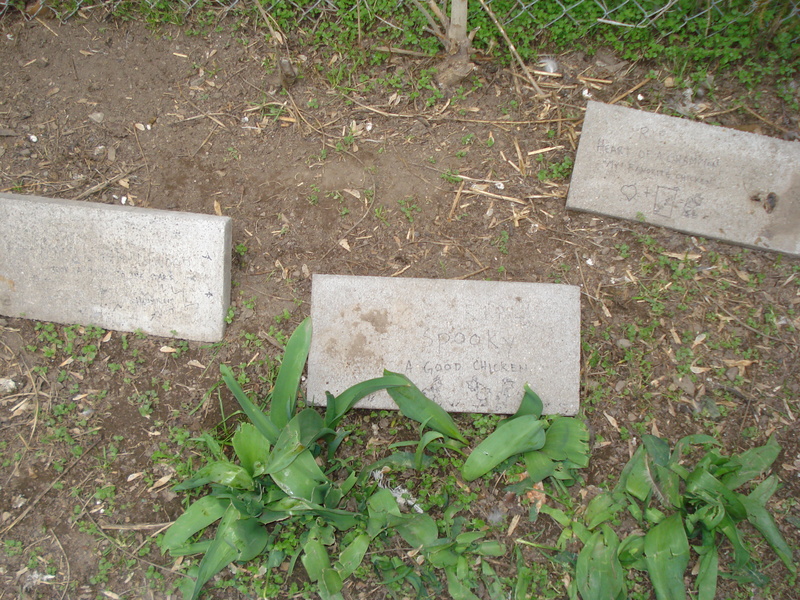 First came Prudence and Dame Judy, both of whom are no longer with us. 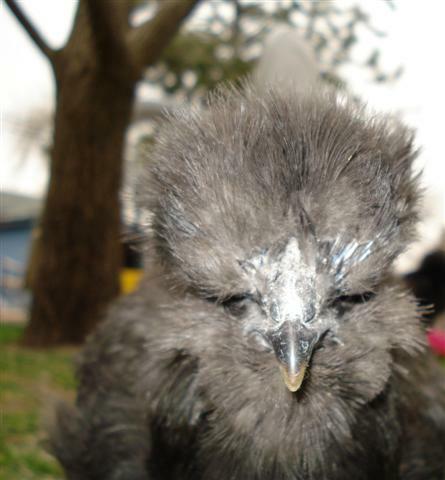 Then came four adorable bantams, two black ones (Spooky and Silver-Backed Gorilla); a fluffy-booted, matronly white hen named Hollywood Madam; and our favorite tiny white girl “Heart of a Champion” heehee. When we went to the hardware store for coop-building materials last summer, I told Zach very firmly that he was not to build a rickety ramshackle piece of crap that would look terrible in our ever-improving backyard. 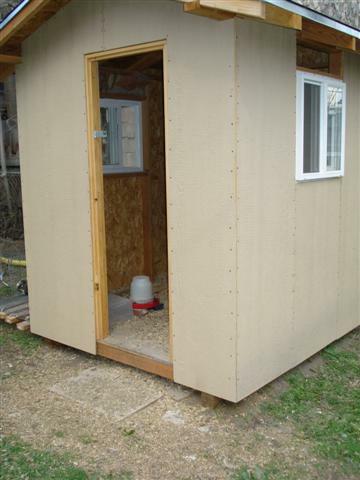 The end result is this $900 Chicken Chalet, with nicer windows than our house. It was a bit of poor communication on my part (I never intended to spent THAT much), but I have to admit it’s the nicest coop I’ve ever seen. Unfortunately, last autumn before the door was put on, a racoon got in and butchered all the banties. We were heartbroken! The raccoon did not kill the imposing Kai und Kai, named after a same-named couple we knew in San Francisco. 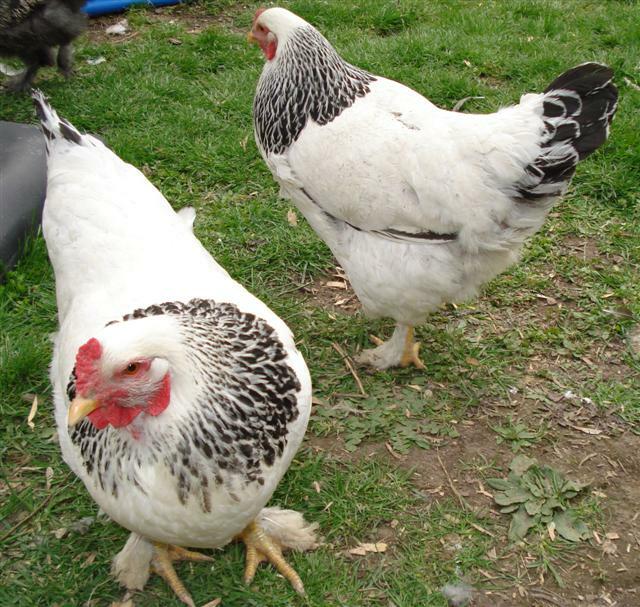 These two hawkish hens lay BIG eggs and are inseparable. We also had a rooster named Fidel for a while, but he was too loud for the neighborhood (we think he’s the one who announced to the raccoon world Chickens! Chickens to Eat!) so we gave him to a friend with more land in Sandy. The contest part? 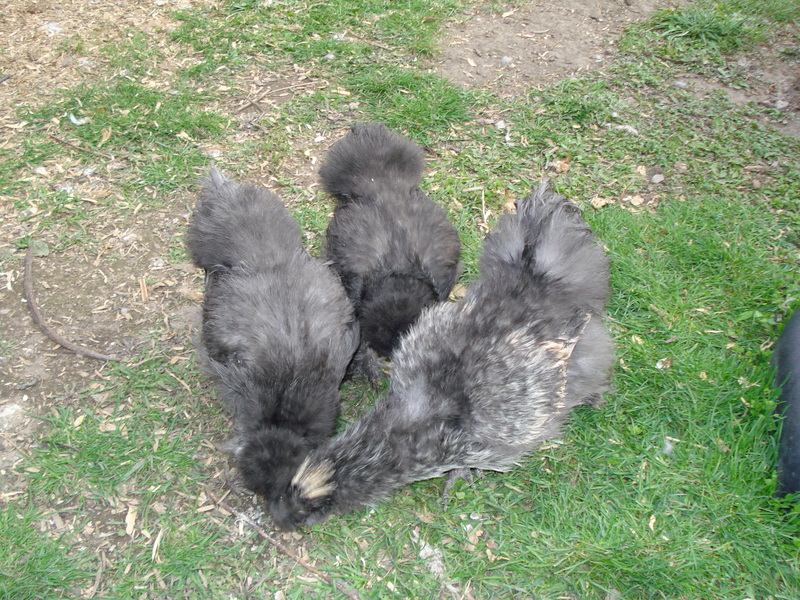 Here are three fancy pants chickens we received for xmas. It shames me to admit that they have no names!! If you have ever photographed free-range chickens, you know that they do not stand still. The chickens are unsexed, so may turn out to be roosters, in which case they’ll be looking for homes in less urban environments. 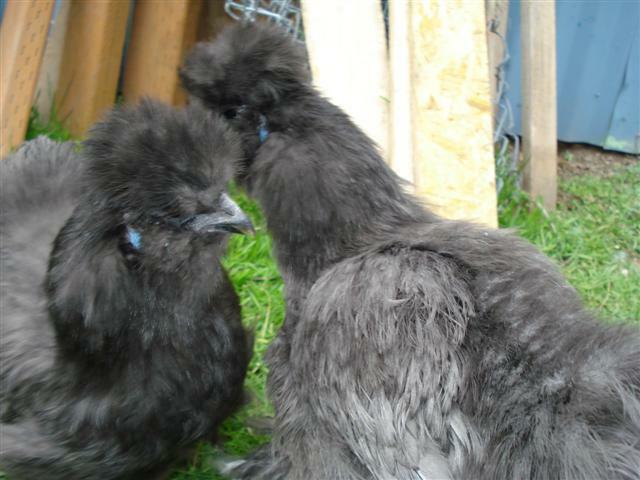 Please use the comment area to enter your names for my chickens. 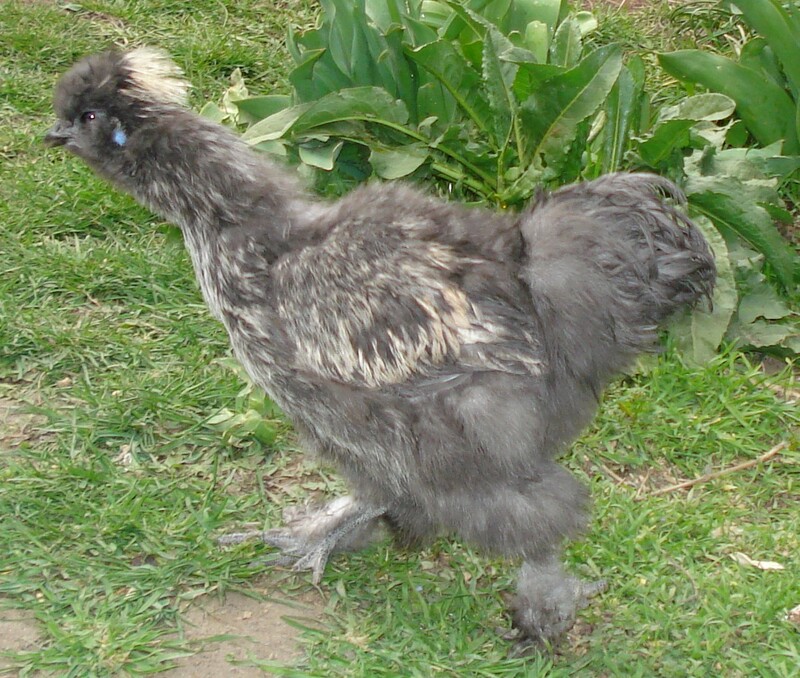 The winners of the naming contest will receive a handmade chicken-item, which I am madly designing now! The deadline is April 21. GO! # 1984 – United States Meldrick Taylor (USA) was the last american to take a gold in boxing for the featherweight class. I vote for Meldrick the Magnificient! You say that they are unsexed, so I vote for “She-he” and “He-she…. so almost all bases are covered.. 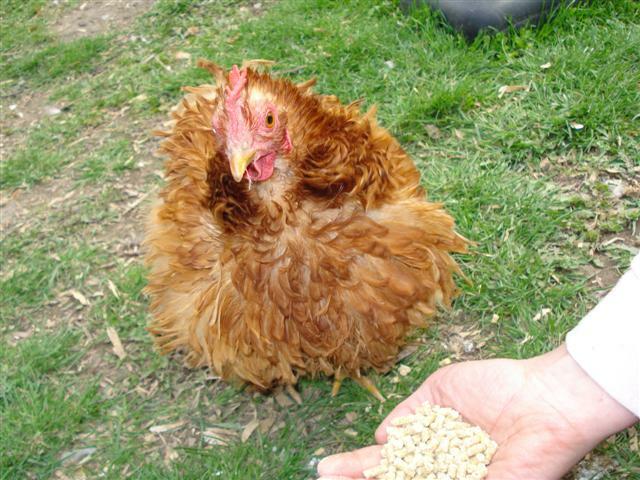 I vote for Concreta, Asphalta, and Tarmaca, believing in their good fortune to be hens, of course. Hmm… Aramis, Athos, and Porthos? No! Larry, Curly, and Moe! & I don’t know whether you want that commitment. How about Astrid, Fay, and Twila (pronounced “twy-la”). There is a darker Gray ont that I thinks should be Gray Goose. In keeping witht he Vodka theme the one with the whiter wings should be Absolut, and the other Belvedere this can change dependent on the sexes.